F - Tilda Fabric Flowers. iron them and include them in her next project. I made Peg a Thread Holder for those "Inspiring" Threads. I have enjoyed putting this parcel together for Peg. Wonderful gifts Sharon. How could Peg not love them! A fabulous parcel for lovely Peg. Clever you, everything is wonderful. Wow Sharon... you have spoilt Peg good & proper! Gorgeous and practical, all in one parcel... well done! What beautiful things you have made for this swap Sharon, just beautiful!! Wow, any one of those would be a lovely gift on it's own. No wonder Peg was thrilled. That is the best package of goodies I've ever seen, Peg would have been grinning from ear to ear as she opened each one! 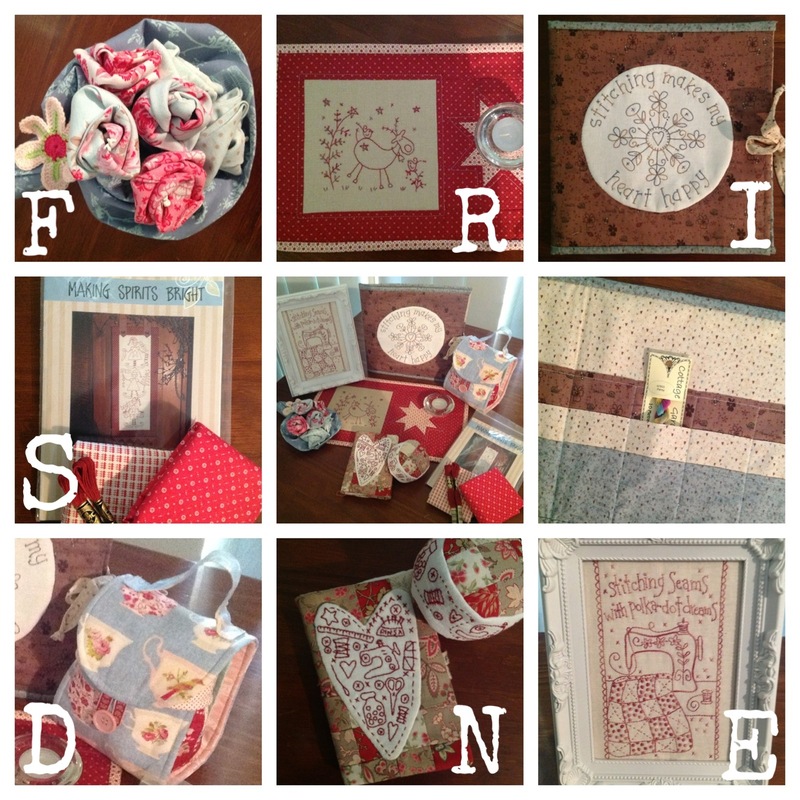 Sharon, what fabulous work & so much effort you have put into that swap!! Wow you certainly spoilt Peg and what beautiful work you do. I love the Reindeer. Are you able to share the pattern name. They look like Gail Pan's reindeer?? Love them.